The government has notified rules for the 'Digi Yatra' (DY) project and is looking to make ticket booking, airport entry and boarding pass security check-in, totally digital. 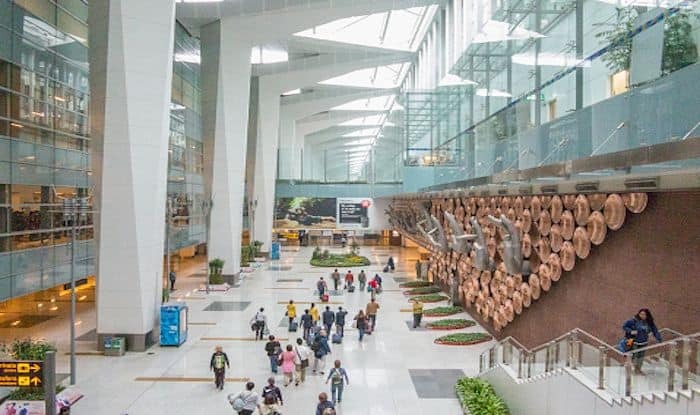 New Delhi: Air travel will soon become paperless and hassle-free as the Aviation regulator Directorate General of Civil Aviation (DGCA) has put in place norms for the launch of the e-boarding process termed as ‘Digi-Yatra’. The government has notified rules for the ‘Digi Yatra’ (DY) project and is looking to make ticket booking, airport entry and boarding pass security check-in, totally digital. The facility will be available for domestic flight boarding. A passenger’s Aadhaar number and mobile phone, among others will be used for the same. There are a few norms which have been listed by the DGCA. Here’s taking a look at the guidelines. The airlines will collect the Digi Yatra ID of the passenger for domestic travel as per its policy at the time of making flight ticket booking on the Airline Reservation System, Online Travel agents (OTA)/ Global Distribution (GDS), Website, Mobile app booking etc. A passenger may provide any one of the approved identity cards such as passport, voter ID, driving license, Aadhaar etc. Passengers may note that the Digi Yatra ID will be authenticated during the first travel undertaken by them at a Digi Yatra enabled departing airport. During the authentication process, the passenger’s ID will be verified and validated by an authorised security officer who in turn will activate the Digi Yatra ID. Airlines will share the passengers’ data along with the Digi Yatra ID, with Biometric Boarding System of airport operators at least 6 hours before the flight. e-tickets are issued with a 2D/QR Barcode following “One person, One Ticket & One Code” so that each passenger, even in a group booking, is issued with an individual ticket having a unique code. The airline and the airport operator will make sure to comply with data protection and data privacy requirements as per the applicable regulations. They will not share the data of their passengers to any third party and shall be only utilised for the seamless passenger Digi Yatra experience. With the Digi Yatra facility in check, the paperwork for airport entry and boarding flights will be minimised.